How To Setup Virtual Private Network (VPN) On iPhone? 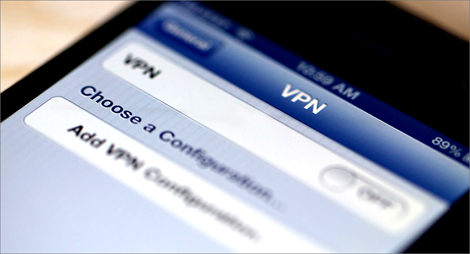 Home > Tips and Tricks > How To Setup Virtual Private Network (VPN) On iPhone? Virtual Private Network (VPN) is a system that uses public internet network to access information and communicate securely within your entire company’s private network. The iPhone operating system is friendly with VPN service to access your official tasks. 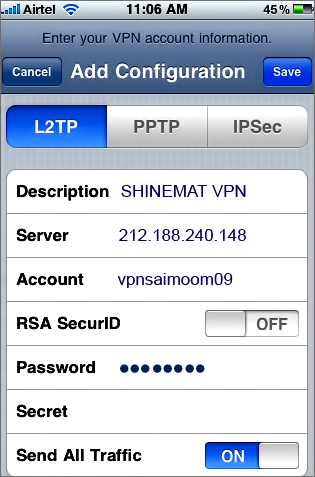 Here the process to configure iPhone for VPN network to use VPN service using your iPhone device. ALSO READ: How To Synchronize iPhone Calendar To Yahoo Calendar? 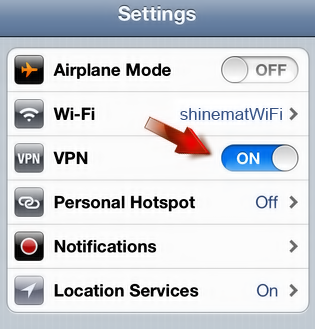 In iOS 7 version, you will find the VPN option in Settings → General. 3. Now select your desire VPN network type tab from top. The following types are available. 4. Now type VPN description. Type the IP address of your VPN in Server field. Enter your VPN Username in Account box. 5. Hit Save button from upper right corner. 6. Finally switch your VPN to ON mode. Your iPhone will connect automatically to your virtual private network. Go forward buddy. You take good care. Pray for for my family. Allah Hafez.